In the 1970s, Rokon saw an opportunity to get in on the huge new market for competitive trail and motocross bikes. But in typical Rokon fashion, the company took a different approach to the challenge. Although the bikes came with traditional rear-wheel only drive, the two-stroke engine functioned like an automatic transmission. Rokon combined that unusual drive system with first-class components for the time. 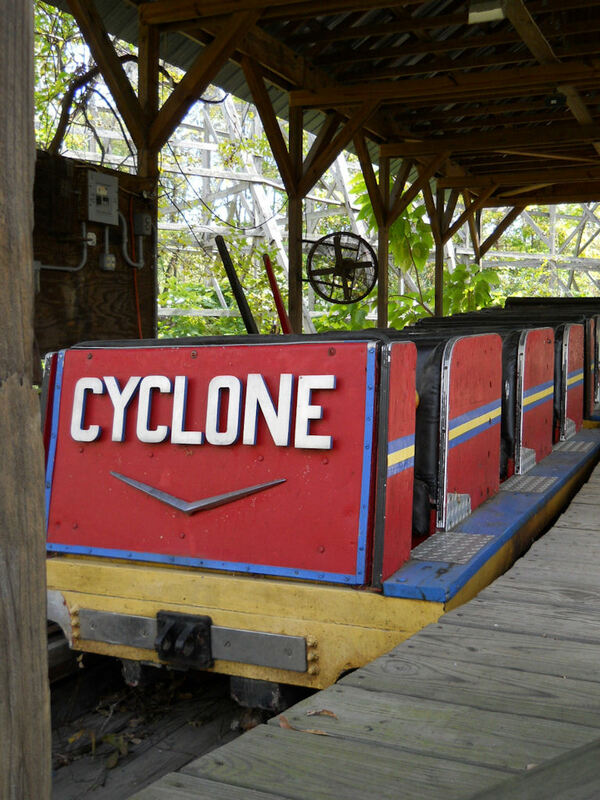 Although the automatic transmission offered some theoretical advantages, there were problems caused by the extra weight and the fact that the Rokon offered none of the engine braking that riders were used to. The bikes achieved some success in enduro events, but the motocross version, like this MXII, was a failure. The attempt at competing head-to-head against other off-road manufacturers drove Rokon into receivership in 1978. It re-emerged in the 80s and continues to sell two-wheel drive trailbreakers today. 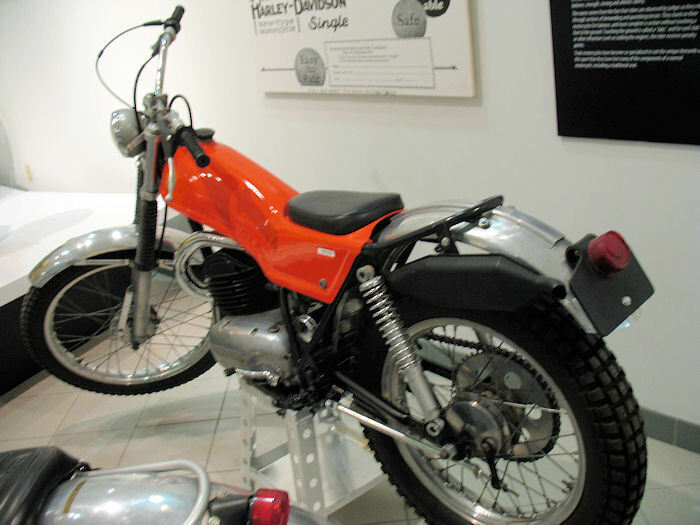 Introduced in 1968, the Corta (Spanish for “level”) was Montesa of Spain’s first trials bike. 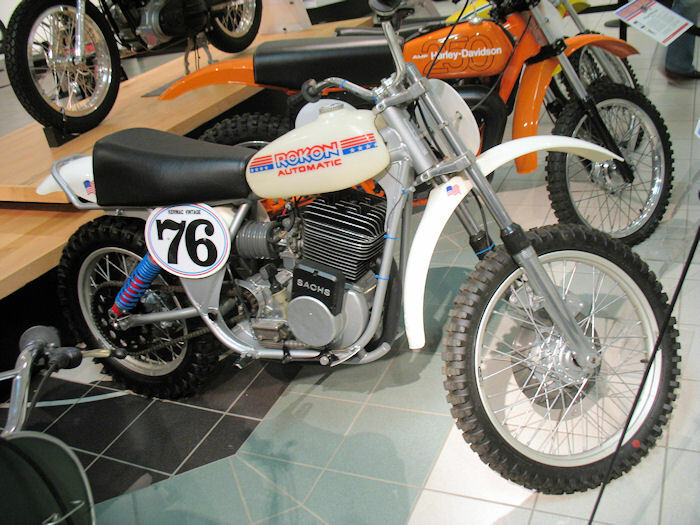 Montesa won the European Observed Trials Championship with rider Don Smith in 1969 on a bike like this one. Montesa, now owned by Honda, continues to be a major force in trials competition, with the Costa model having claimed eight titles since the series became a world championship in 1975. 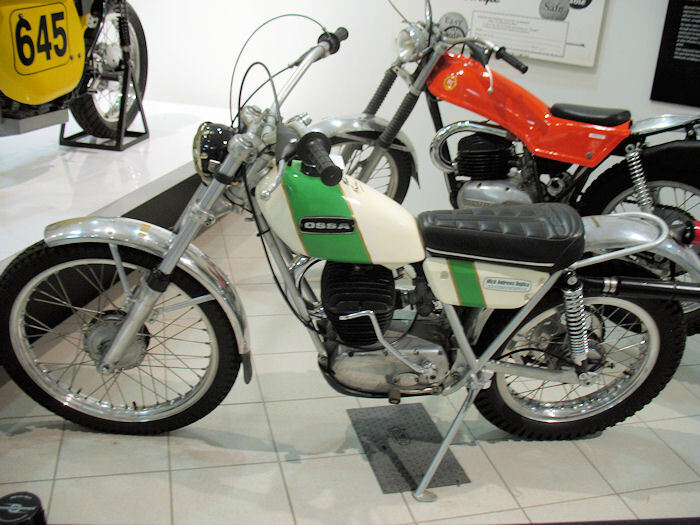 In 1970, Mick Andrews gave Spanish OSSA brand its first victory in the Scottish Six Days Trials (then the premier event in the observed-trials world). 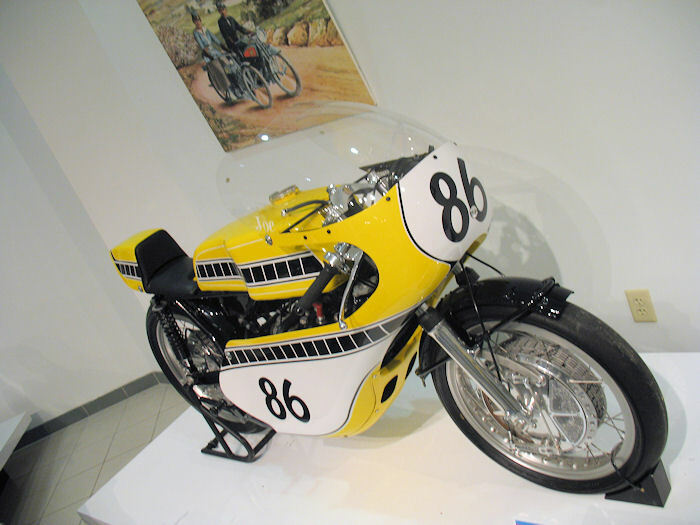 In 1971, released the Mick Andrews replica , a machine designed to recognize that victory, and to attract buyers who wanted a bike associated with a champion. This particular bike has the added distinction of carrying the signature of Mick Andrews, who autographed it in 2002.